A trapped Novi looks for an escape but the mysterious ship and its crew continues to fascinate and mystify her as she observes them undetected. Source: This episode is currently free to read on the author's website. I'll be honest with you, I am having a difficult time reviewing a book as it is being written because the plot and characters haven't been fully developed as of yet. I am certainly intrigued by the premise, and I think that Novi and the ship's crew have the potential to be amazing characters. 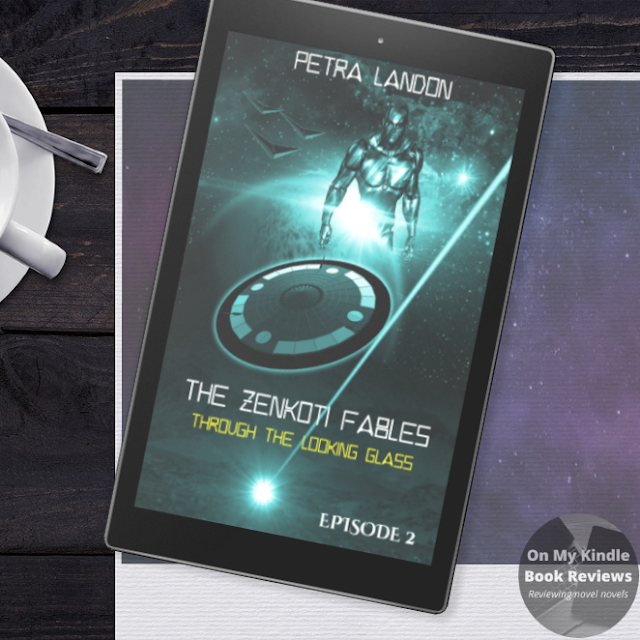 This second episode is quite compelling as Novi learns more about the ship's crew from a unique vantage point of an outsider literally looking in. So far, it looks like "The Zenkoti Fables" is a work in progress that is worth following as I haven't found any issues with the plot or premise. 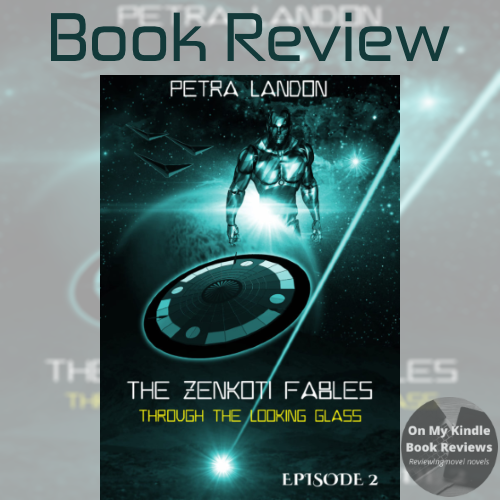 I'm definitely looking forward to seeing what Landon has in store for readers as the plot develops, and I am happy to recommend it to readers who enjoy reading episodic space operas. Find Through the Looking Glass Online! 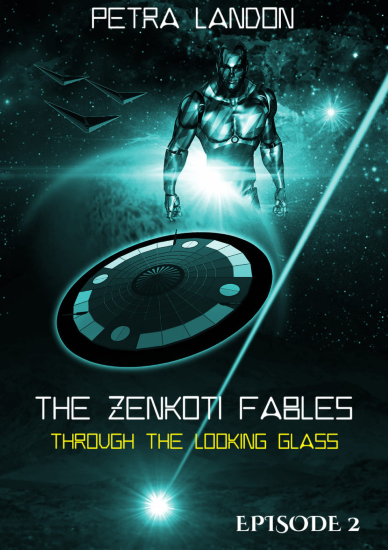 Through the Looking Glass and the rest of "The Zenkoti Fables" are currently available on PETRA LANDON'S WEBSITE. You can also sign up to receive notifications when Petra Landon adds more episodes to the series. 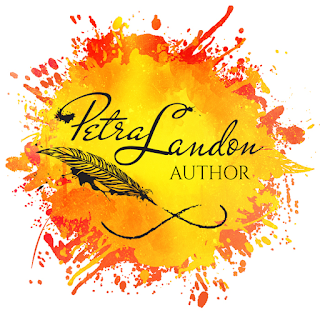 Petra Landon, author. Courtesy of Goodreads. Petra has always possessed a very active imagination. One inherited from her father. Or so she believes. As a child, her father would regale her with fantastic tales of creatures and beasts that lived amidst them. While invisible to her, they were in regular communication with her father. Or so she was told. He built an imaginary world for her that she reveled in for most of her early childhood. He also helped inculcate a love of books in her. As she grew older, her reading list broadened to include anything and everything she could lay her hands on. Her first apartment after college was carefully selected on the basis of its proximity to book shops and the local library. Over the years, no matter how busy life got, Petra would always have a stack of books by her bedside, to be read during moments snatched from her studies, her job and other activities of life. She has a secondary passion that she built a career on. For years, she would imagine stories and tales in her head, sometimes sketching out detailed characters and events. Inspiration would come from traveling, reading a great book, watching a fun movie or TV show or even just a conversation. Occasionally, if she felt let down by the ending of a promising book, she would imagine an alternative and more satisfactory ending for herself. Then a few years ago, she started jotting down little snippets of stories every now and then, mainly to stop obsessing over them. Eventually, encouraged by her husband, she embarked on a mission – to write a short story. Though she worked long and hard at it, the short story never did get completed. Once she started writing in earnest, even a few stolen hours a week, the stories kept pouring out of her. She found that the labor and discipline of putting her thoughts down on paper could not keep up with her active imagination. Before long, she had compiled a list of novels in various stages of completion, but none complete. What she needed, she told herself, was discipline. It took her another year to complete her first book, The Mercenary, primarily because she could never quite banish the other story ideas that seemed to pop up in her head at regular intervals. The book, a tale set in a world far away, belongs to the Science Fiction genre. Her husband, encouraging as always, advised her to complete her half-written Urban Fantasy novel and publish that first, suggesting that the genre of Urban Fantasy might enjoy a wider audience. For Petra, it has been a long journey and a dream decades in the making to come to this point. She’s very excited and a tad anxious to finally publish her first book. She very much hopes that people love her quirky characters and vivid stories as much as she loved putting them down on paper.